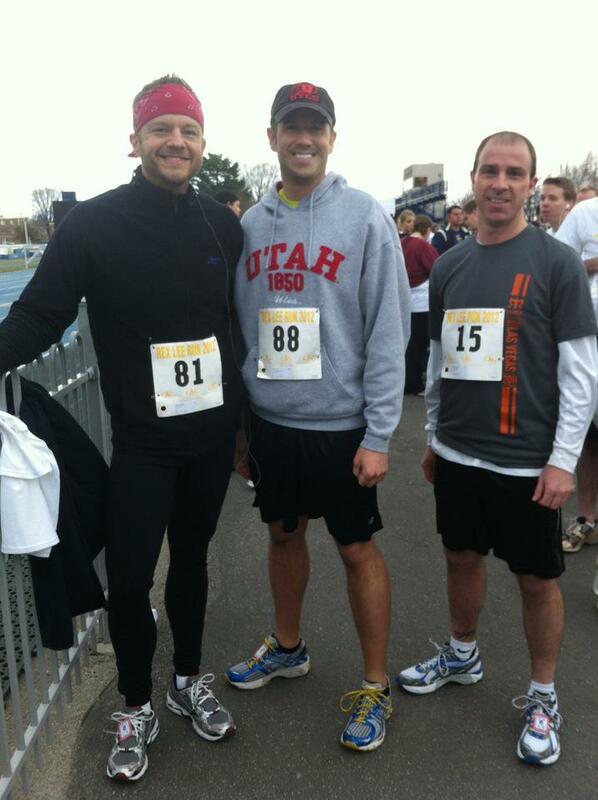 Last Saturday I rejoined two of my good friends to rerun the Rex Lee Run 5K. We did it together last year with a few other friends. 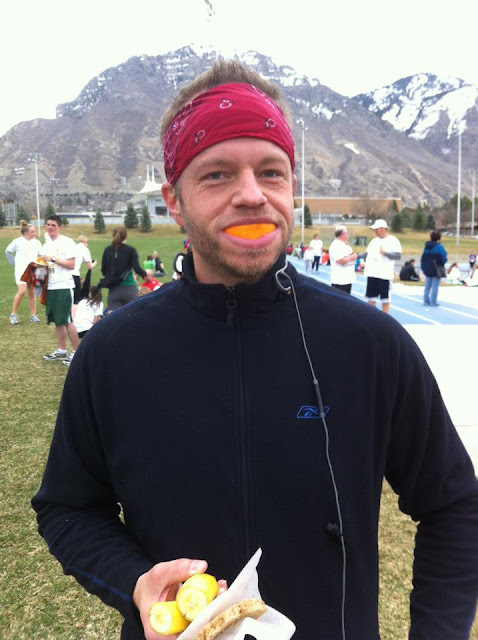 You can read about it here: Rex Lee Run 2011. When I first thought about running this race again this year I thought that I would do the 10K instead but the close it got, the more I realized that I was not prepared for that. 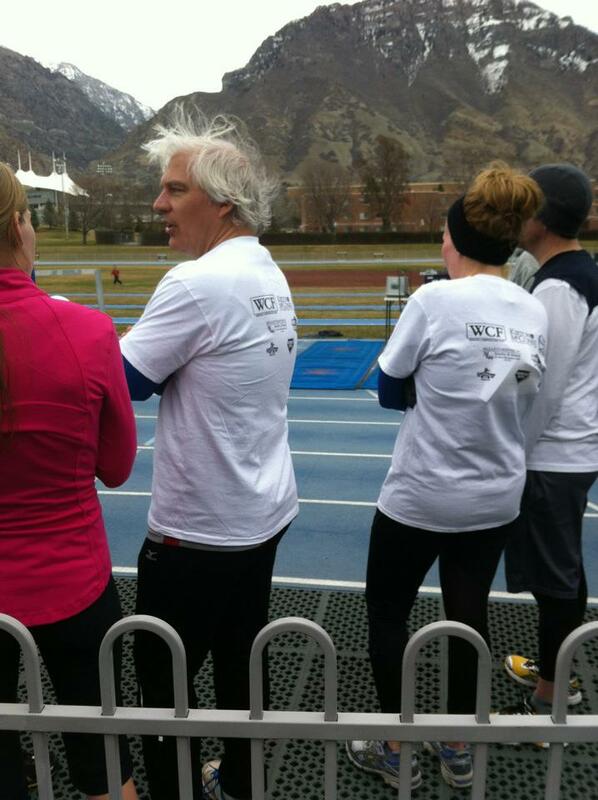 So we all ended up running the 5K. The weatherman had said that it was supposed to be rainy and windy. I was pleased that it was neither until we finished the race. The course starts with a lot of up hill for the first mile. I was determined this time to take it slower and not expend all my energy passing others getting up the hill. I think it worked out better for me. 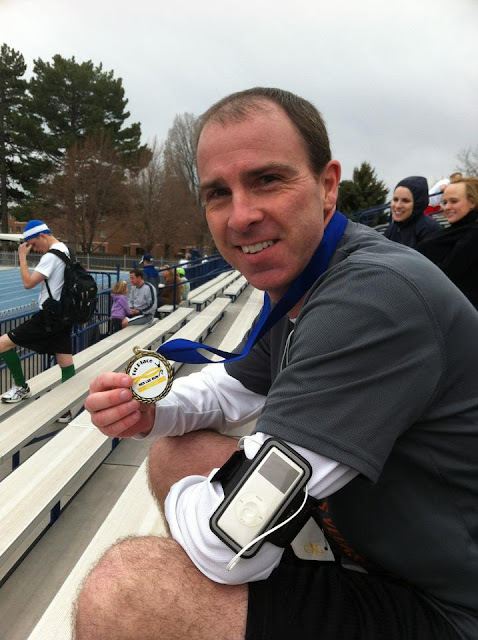 This year I finished about 50 seconds faster than last year with a time of 29:49 minutes.